Following the Huawei E5 classic design, Huawei E5577 looks like the predecessor models such as E5776, E5372, E5377. 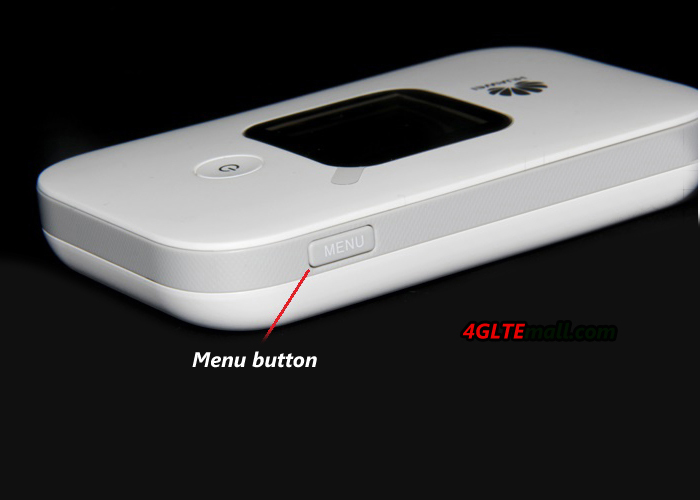 The E5577 LTE MiFi is in white or black color. It’s now already available for many network providers in Asia and Europe. As the second generation of LTE category 4 mobile hotspot, we will have a look at what’s improved in the new pocket router. The Huawei E5577 looks smarter than its predecessors, perhaps because it becomes thinner. The body material is made of plastic but touch feel good. On the front, there is Huawei logo and power button which are located at the two sides of the 1.45 TFT LCD screen. On the top side, there is “Menu” button while the USB port and connectors for external antenna are on the bottom side. The back cover could be removed for battery change. 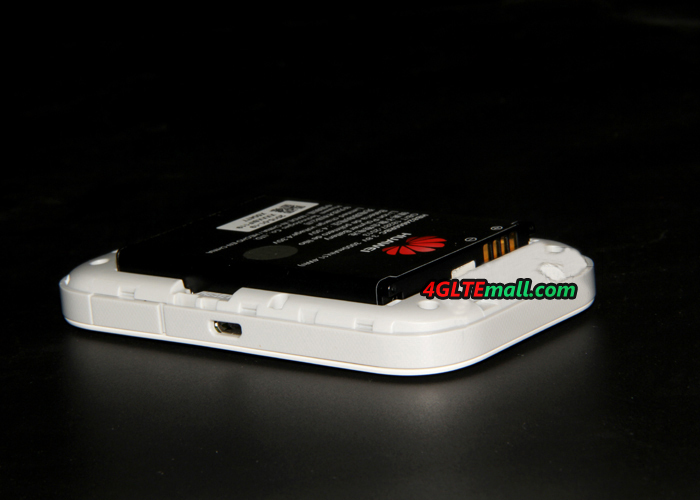 Open the back cover, we can see there are two slots for SIM card and MicroSD storage card. At the left side of the slot, there is a label where the model number, SSID, WiFi key (password), IMEI & S/N number are printed. 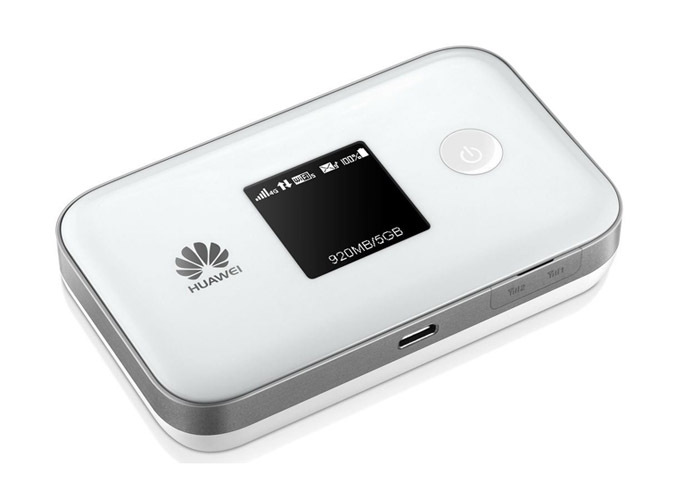 After the SIM card and battery is inserted in the E5577 LTE MiFi, press the power button on the front and the E5577 will fast boot in seconds. Huawei E5577 is still using standard 6-pin SIM card. Usually, the device will automatically configure and connect to network in a couple of minutes. But the E5577 will not do that, user need setup the router manually. You can log in the Huawei Mobile WiFI APP though smartphone or via web browser in PC to do that. When the Huawei Mobile WiFi E5577 is working, user can see many information from the screen such as the network providers, SSID, WiFi key, signal strength, SMS unread, battery status and WiFi connected users. 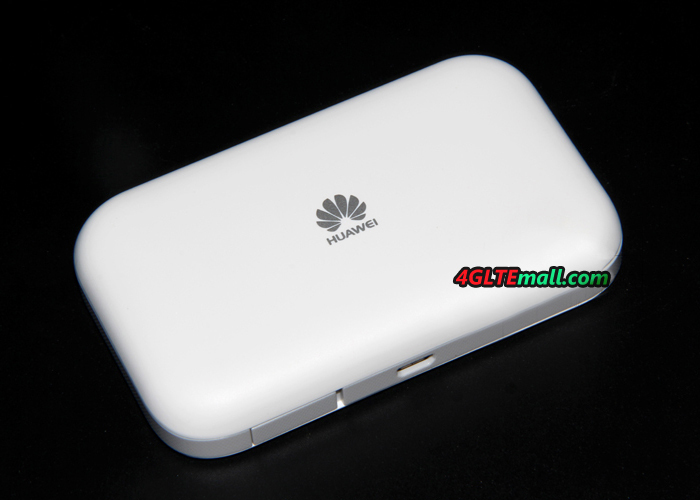 Like other Huawei E5 pocket WiFi, Huawei E5577 could support up to 10 wireless users to access internet simultaneously. And one extra one could be connected with USB. The Huawei E5577 is also named E5577C. 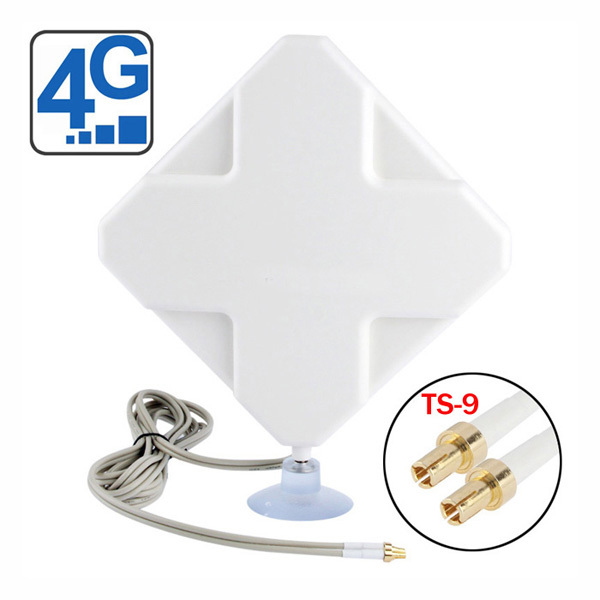 Here now we have Huawei E5577Cs-321 and E5577Cs-603, which could support different LTE network frequency bands. They are for different markets. 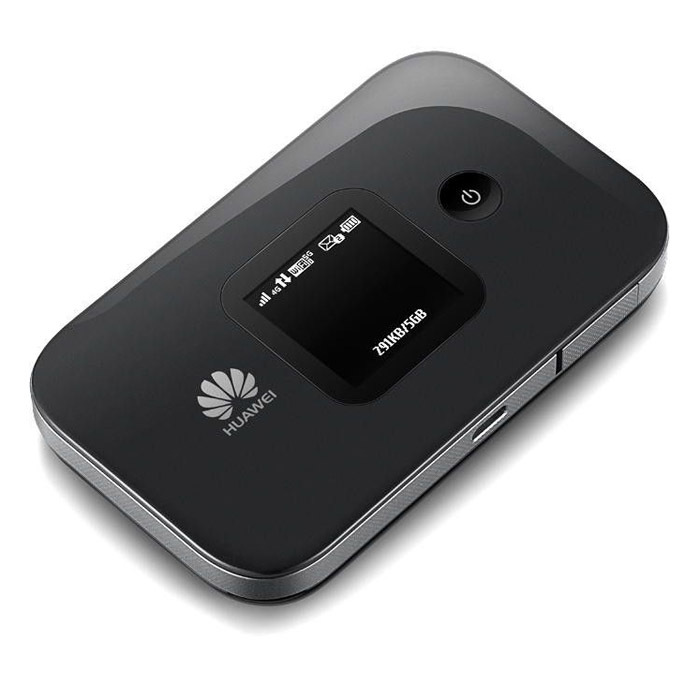 If you need this mobile hotspot, please check your local network frequency bands and then choose the right one. You can also contact us for help. Huawei E5 Mobile WiFi family have new members in the past year. 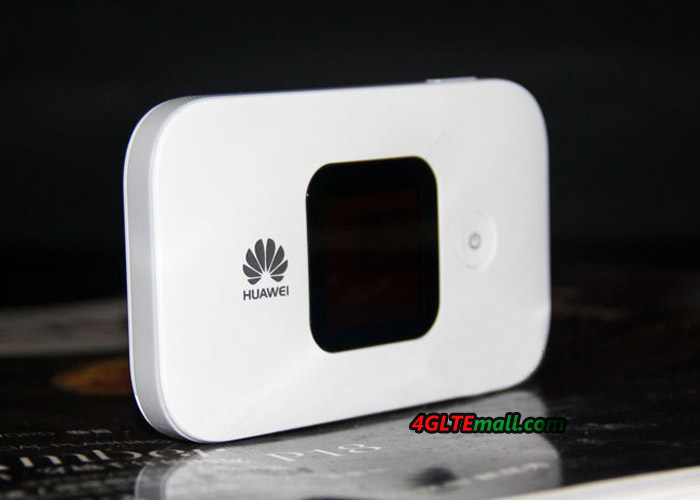 Except the hot Huawei E5786 LTE Category 6 mobile hotspot, we also got the Huawei E5577 and E5573 4G LTE Category 4 mobile hotspot. 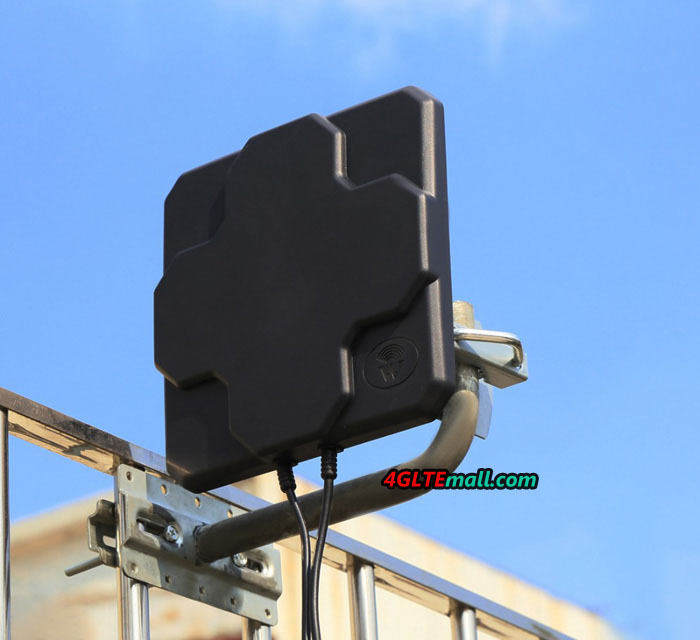 You may feel puzzled about the name of the two mobile hotspot. They are too similar that we cannot tell what’s real difference between. That’s why we write this article today. Let’s check what’s the real difference and make a clue to the customers who are interested in them. Huawei E5577 has a 1.45 inch TFT LCD screen, at the left side of the screen, it’s the logo; and at the right side, the power button. Huawei E5573 has no screen, the power button is at the middle of the top body. At the left side of the power button, it’s the signal strength indicator while the battery indicator at the right side. From this point, Huawei E5577 seems more friendly, because user can read the information about network providers, network signal, WiFi connected users, battery status, WiFi name and password on the screen. Huawei E5577 is thicker than E5573 even though they both has the same battery capacity of 1500mAh. And their battery can be removed so that user can insert the SIM card under the battery. 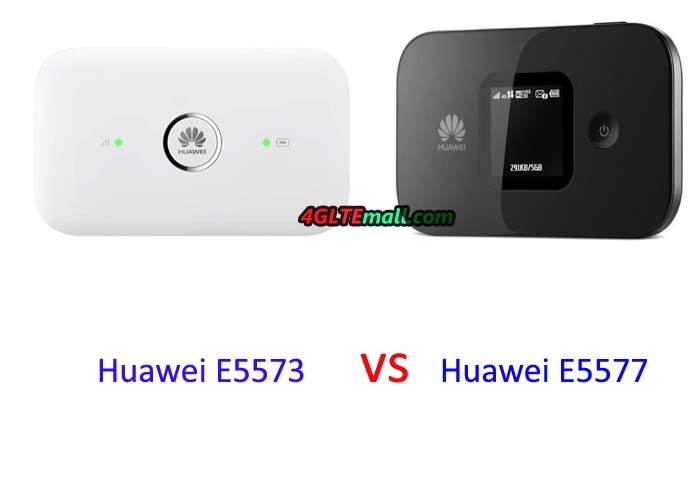 Huawei E5577 and E5573 are both LTE mobile hotspots based on LTE Category 4, so they could both support the peak download speed to 150Mbps and upload speed to 50mbps on FDD-LTE networks. While on TD-LTE network, the peak download speed to 112mbps and upload speed to 10Mbps. And they both support up to 11 wireless terminals to access internet simultaneously. Similarly, the 3G UMTS/DC-HSPA+ and GSM/EDGE networks are backward. And the speed on DC-HSPA+ network could reach 43.2Mbps, which is good for most users. 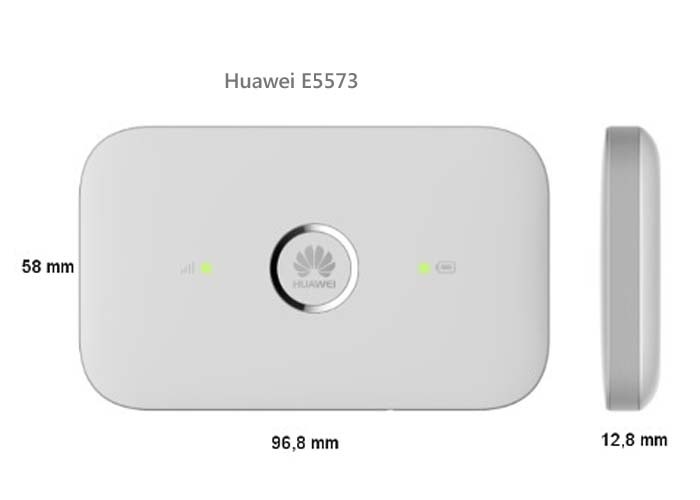 From the technical specifications, we can see the two mobile hotspot are too similar that we believe the manufacturer Huawei just re-design the appearance to distinguish them. The core data are kept same for markets demands. 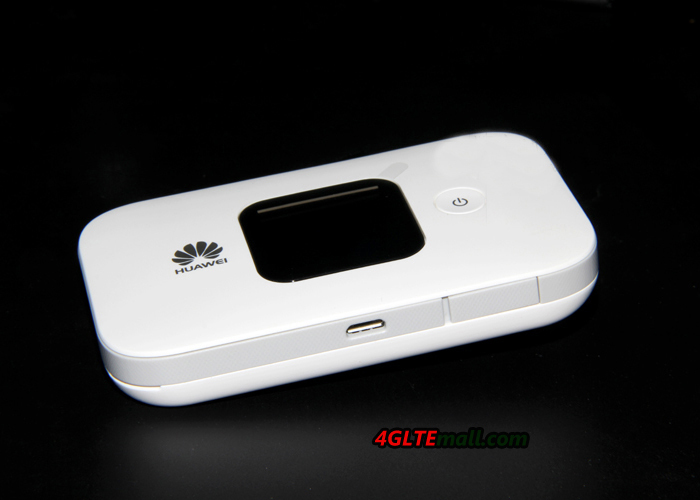 So if you are interested in them, we can only tell the Huawei E5577 is more user-friendly. Other features are very similar that you can ignore. One more important note is that the two routers both has many sub-models, which could support multiple LTE(TDD or FDD) bands. You must check carefully if you want to buy them. You need check your local network and then decide which one is for you.